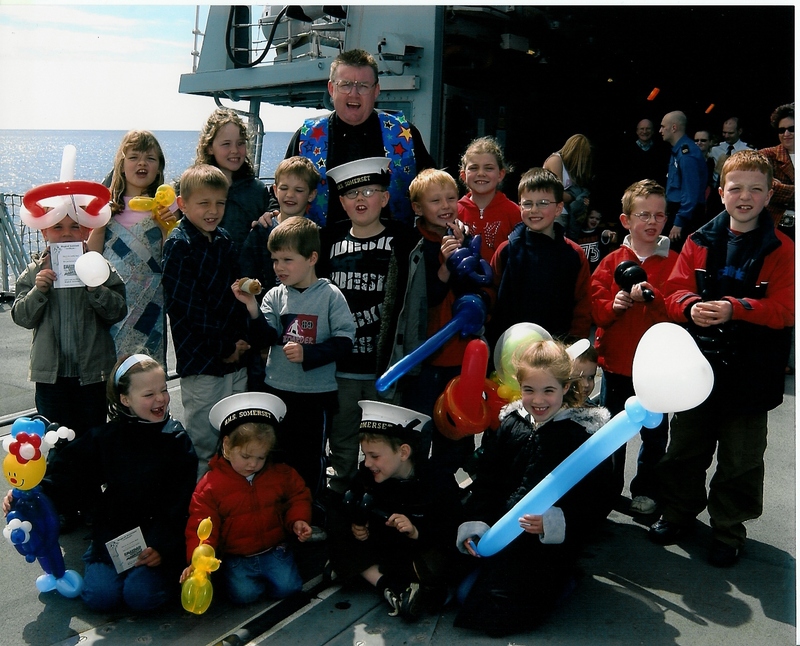 Emazdad offers amazing magical entertainent for any event where the families of HM Armed Forces need entertaining, these packages below are aimed at HM Warships, but can be adapted for any of our Armed Forces estabishments. Not only does he provide top class entertainment, he also offers HM Armed Forces some fantastic discounts. Because Families days take up the whole day, they should incur his all day fee, however becaused he's an ex PO Stoker he always gives the Royal Navy a huge discount for families days at sea. Emazdad will always arrive early on the day so all his stuff is onboard before the families start to arrive. The 2 shows are usually timed so one is in the forenoon, the other after lunch, and are a fantastic way to keep the children, and adults, entertained between the other excited activities you have planned. In between the Magic Shows Emazdad will entertain the families with some of his fantastic balloon creations. Homecomings are always amazing events, with families waiting eagerly for their first site of the ship or submarine after many months away. However before they get that first glimpse there's a fair amount of waiting to be done, and thats where amazing Walkabout Balloon Modelling comes in. Emazdad will entertain the children and Adults by making them some of his amazing balloon models, which they get to keep and take home. The balloons aren't just limited to the kids, the kids take preference, but the adults can have one as well.